Zambian Star Emcee, Chanda Mbao sets the bar with his recently released single titled “The bigger wave” featuring Da L.E.S, Laylizzy and Scott. Champion Emcee, Chanda Mbao more than made his mark in the industry with the viral “Wave” featuring the Nightingale Scott in 2017. The hit single “Wave” spread across Africa like wildfire showcasing Chanda Mbao’s lyrical ingenuity and Scott‘s platinum vocals on the hook. Chanda Mbao is a US based tri-lingual rapper. The former investment banker having been influenced by rap from his young age made the career change with no regrets. Chando Mbao is popularly known for numerous songs like “My town” featuring Kaladoshas, “Shabba cover” featuring Scott, “Who” amongst others. 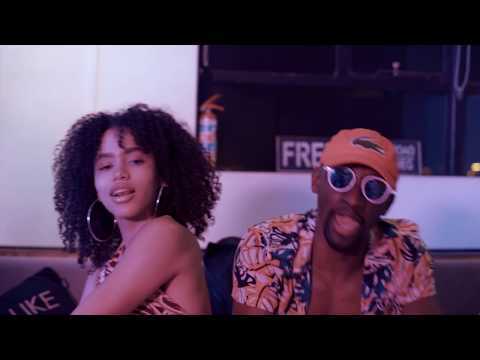 While we still have the recently released Spender’s “I ain’t sorry” featuring Da L.E.S and Stereo on replay, the hustle continues for Da L.E.S and he shows no signs of stopping. Leslie Jonathan Mampe, Jr. famously known as Da L.E.S, is a South African/ American hip hop recording artist and record producer who rose to prominence when his music group ‘Jozi‘ became a household name in South Africa. Currently signed to Kings Empire Records, Stereo is a fast emerging South African recording artiste. The very talented act, Stereo is well known for singles like Man like me, Kpelemo, and Boogie down. He has collaborated with several notable African artistes including K Switch and producer Otee Beatz. Heavyweight rapper, Laylizzy stole our hearts this year with hit songs “Slay” and “Forever”, whetting our appetites in anticipation of his upcoming album. Mozambican hip-hop recording artist, songwriter and performer, Edson Abel Jeremias Tchamo, popularly known as Laylizzy is the first artiste of his country to be verified on instagram and Facebook. His music journey began at the age of 14, when Laylizzy joined a music group called 360 Graus, with his friends Hernani da Silva and Ellputo. In 2014, Laylizzy was signed to Geobek Records. The Geobek Records star is well known for songs like “Hello” Ft. AKA, “Too Much” feat Kwesta and 2016’s album “Artistic”. Scott is a fast emerging Zambian music artiste making huge strides towards fame with his enthralling vocals and artistry. Chanda Mbao exceeds expctations with “The bigger wave” and leaves us wanting more. For the full experience, listen and download here and feel free to drop your comments in the comments section.